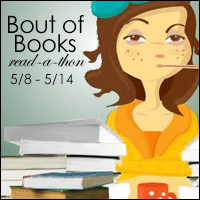 Bout of Books 19 starts Monday! This is my fifth time participating overall, and my second time since starting this blog. I've had too much going on to really think about what I am going to read just yet, but I'm hoping to have a reading list put together by Monday. I usually get a lot of reading done, and I don't want to waste the week!